If you're searching for a long-haired canine companion to add to your family, you have a wide range of options. 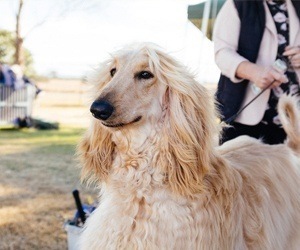 Dogs with long hair are popular amongst beauty-conscious owners. They're known for their majestic appearance and comfortable cuddles. With that being said, these dogs require a lot of attention and grooming. Owners must put time and resources into keeping their pooch tidy. The need for constant grooming isn't just for looks. While long-haired dogs do shed, neglecting to keep their fur brushed and coiffed can lead to uncomfortable tangles. However, if you're up for the challenge, owning a long-haired dog can be a rewarding experience. Beyond the basics of canine hair care, there are a number of things you need to consider before making a commitment to a dog. Luckily, there are many breeds you can choose from. Each has their own unique physical traits and personalities. Whether you're looking to get a large energetic ball of fluff or a smaller lap-dog that you can spoil, there's an option for everyone. Here's a list of some of our favorite long-haired dogs. Pomeranians are one of the most popular breeds around. They're a small breed that only reaches between 3 and 7 pounds when they're fully-grown. In terms of height, these small lap dogs can be as tall as a foot or as short as 7 inches. These furry dogs are best for owners that are patient and active. Despite their prim and proper appearance, Pomeranians are an energetic breed that requires regular exercise to stay healthy. Furthermore, they can get bored pretty easily. To keep them happy, you'll have to add some variety to their toys and daily schedule. 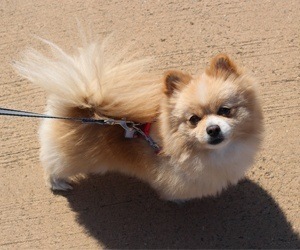 Pomeranians are also known to have short attention spans, so they often require longer and more strict training periods. However, when they're trained properly, these dogs will stay loyal to you throughout their long 12 - 16 year lifespans. This medium-sized dog is instantly-recognizable due to its distinct hair pattern. They have a somewhat goofy appearance thanks to their long shaggy coats. These dogs often have multi-colored coats. The base of their fur is typically white and accompanied by streaks of gray, black, and brown. If you own a Bearded Collie, regular grooming is essential. Their hair grows over their nose and often covers the eyes. On average, adult Bearded Collies weight between 45 and 55 pounds. They can reach heights of up to 22 inches and have lifespans of approximately 14 to 15 years. 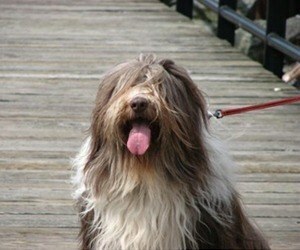 Bearded Collies thrive on attention and positive reinforcement. They're prone to separation anxiety, so they're best for large families. They're at their happiest when there's someone to accompany them at all times. When it comes to training, these dogs are pretty smart. They respond well to gentle methods that involve plenty of positive vibes and treats. Yorkshire Terriers are an adorable breed that has a history dating back all the way to the 19th century. They're small and protective pups with an average adult weight of 4 to 6 pounds. Their small stature makes them great couch companions. They only get up to 9 inches tall. The breed has a striking hair color and pattern. They usually have blond hair that's accented with patches of black and white. Their hair is silky, relatively straight, and quite long. This breed needs to stay active. They have a lot of energy to get rid of, so they can often be found running around or playing throughout the day. If left alone, they're notorious for getting into trouble. They should stay inside due to their small size and temperature sensitivities. Overall, they're a friendly and loyal breed that will stay by your side throughout their 14 to 16 years of life. Afghan Hounds are great companions for any owner. They're a medium-sized breed that weighs between 50 and 60 pounds and can get up to 28 inches tall. They have slim and slender bodies. However, most of this is hidden beneath long flowing locks of black, white, and gray fur. When it comes to personality, Afghan Hounds are lovable homebodies. They love nothing more than staying home with their owners. They do require exercise to stay healthy, so you may need to coax them into being active from time to time. Training is also essential. They're cunning creatures that are known to escape fenced areas. To keep them in line, you'll have to enforce your rules and training standards throughout their lives. They typically live to be 12 to 14 years old. 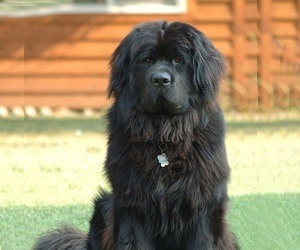 If you're looking to get a behemoth dog, consider the Newfoundland. 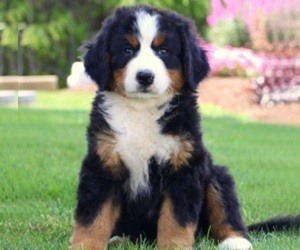 They grow rapidly during their puppy years to reach an adult weight of 150 pounds. In terms of height, they're often between 25 and 29 inches tall. Their fur is long, dark, and relatively solid in color. It's also waterproof to help them stay comfortable in colder environments. Despite their intimidating appearance, these dogs are gentle giants. They're great around children and have sweet personalities all around. They love being around people so much that they can go a little crazy if they're left alone for prolonged periods of time. To keep them in line, they need plenty of training and exercise. Newfoundlands have a shorter lifespan of 8 to 10 years, so make sure to give them all the love and attention you can. 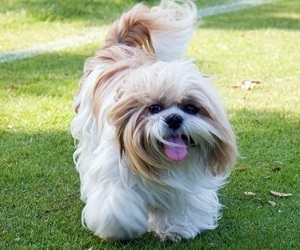 One of the most popular breeds for dog owners with allergies is the Maltese. These dogs have a long and fluffy coat that doesn't shed. Their fur is silky smooth and gets long enough to drag on the ground if not groomed properly. This breed is considered a toy breed, so they won't get any taller than 10 inches or weigh more than 10 pounds. Smaller dogs can be as light as 3 pounds. While they won't release any dander or fur, they do require constant grooming. They should be brushed and bathed at least once a week to ensure that tangles don't become an issue. Their bright white fur stains easily, especially around the eyes. 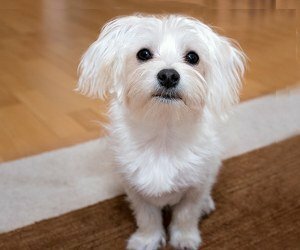 Maltese dogs make great indoor pets. They love having smaller enclosed placed to play. Because of their high energy levels, they need to exercise regularly. These dogs have an average lifespan of 12 to 15 years. These small pint-sized pups are great for families with kids. They're known for their intelligence and playful attitudes. 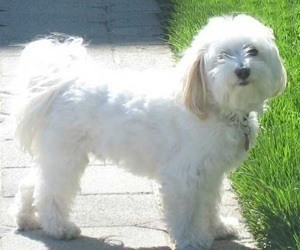 Havanese dogs reach an average weight of 7 to 13 pounds and a height of 8 to 11 inches when fully grown. They have a lifespan of 13 to 15 years. With their small stature, they're relatively easy to travel with. 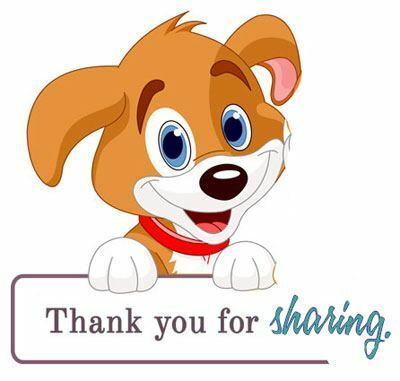 You can find these dogs walking beside their owners or in a pet carrier, especially in their native country of Cuba. Because they're so small, they fair much better when living indoors. However, they can become a handful if you live in a small apartment or condo. They're notorious for running around and causing a ruckus. To keep this behavior at bay, you need to provide them with many opportunities to exercise. When it comes to training, these dogs often have difficulties getting housebroken. You must remain vigilant and patient during the potty training process. Hailing all the way from China, this small toy breed is a great companion for any dog lover. In fact, they've been specifically bred throughout history to be lovable and loyal dogs. They fair well in virtually any living arrangement and have great socialization skills if exposed to humans and other dogs at an early age. On average, these dogs only weight between 9 and 16 pounds. They're short dogs with an average height of 10 inches. They can live to be between 13 and 16 years old. Their fur is long, soft, and straight. To avoid matting, tangles, or discomfort, you'll need to take them to a grooming salon on a regular basis. Their coats get noticeably long around their head and face. It's not uncommon to see these pooches dolled up with hair bows to keep the fur from covering their eyes. Like other small dogs, Shi Tzus have problems with potty training. You'll have to provide them with a lot of attention to ensure that they get the hang of using potty pads. The Bernese Mountain Dog is made for cold environments. They have two coats of fur to keep them warm. The underlayer is made from thick protective fur while the top visible layer consists of long wavy hair. They have a distinct pattern that's made up of brown, black, and white fur. These dogs are quite large and grow at a rapid pace. They can reach upwards of 115 pounds and stand up to 2 feet tall. They'll experience a growth spurt at around 4 months of age. Because they're working dogs, they'll require frequent walks. They're so active that you may need to hold them back. Their joints aren't fully formed until they're two years old, so you want to make sure that they don't overdo it until they reach that threshold. On average Bernese Mountain dogs only live to be 6 to 8 years old. 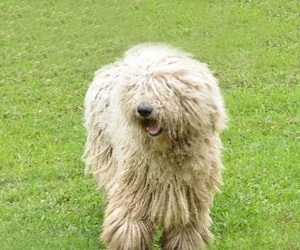 Komondors are renowned for their mop-like appearance. One of the most common color variants you'll see is solid white. Black and brown Komondors do exist, but they're much rarer. The unique thing about these dogs is the way their fur grows. It's quite long and grows in thick cords. The fur clumps together to create that signature mop style. As adults, Komondors can weight between 80 and 100 pounds. They can get to be upwards of 27 inches tall. These dogs were bred to guard livestock, so they're very intelligent and need plenty of room to roam. With that being said, they're not known for their high levels of energy. They'll do a bit of exercise and spend the rest of their day relaxing. They do, however, get bored easily. You'll want to take them on new walking trails and switch out their toys every once in a while to stave off boredom. They have a lifespan of 10 to 12 years. 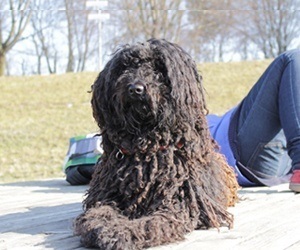 The Bergamasco Shepherd has a long and illustrious history that goes back 2,000 years. They were originally bred to herd livestock. As a result, modern dogs will require long walks and a significant amount of room to play. They're large dogs that can weigh between 57 and 84 pounds. In terms of height, adults reach about 21 inches tall. They can live to be between 13 and 15 years old. These dogs have a thick and matted coat, making them ideal companions for owners that live in colder climates. Their thick coat gets matted over time to regulate their body temperature. If you live in a warmer climate, make sure to provide them with a constant supply of water and shade. When it comes to personality, these dogs are quite reserved. While they do love to play and show affection to their owners, they're independent thinkers. They don't mind spending time alone. Dogs with long hair need a bit of extra attention to stay clean and comfortable. While you can take them to a professional groomer, the job can be done at home just the same. There are two main types of fur: coarse and silky. Dogs with coarse hair typically have a soft underlayer. Silky hair doesn't have this second layer. Whatever type of hair your dog has, it's important to comb and brush the fur regularly. This will help to avoid matting and painful tangles. There are many bathing products and detanglers available to help as well. If your dog's hair prevents them from seeing or eating properly, you may want to get the hair trimmed. Groomers can remove hair efficiently and style the locks to give your pooch a clean look. Do long-haired smell more than short-haired dogs? This all depends on how often you groom your dog. If not bathed enough, dogs with any type of fur will start to smell. With long-haired dogs, that smell can get worse due to grime sticking to their fur. However, if you keep them groomed on a regular basis, they won't smell any worse than a short-haired dog. There are a number of factors that go into how a dog smells. These include what they eat and their overall health. The length of their fur isn't as big of a factor as most would think. Does a long coat keep dogs cool in the summer? Long coats can regulate your dog's overall body temperature in both cool and hot environments. A well-groomed long coat will allow for more air circulation to cool your pet down. With that being said, you should always be cautious about the effects of heat on your dog. 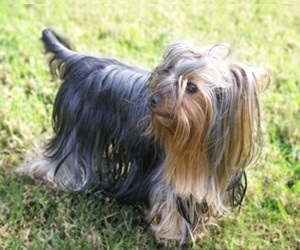 Long-haired dogs tend to have a harder time cooling down and should always have access to water and shade. Are long-haired dogs more prone to fleas or ticks? Fleas and ticks don't have a preference when it comes to the length of dog's fur. The problem lies in detection. It's more difficult for owners to spot fleas and ticks in long-haired breeds compared to their short-haired counterparts. Bugs have more places to hide, so you'll need to invest in a fine-toothed comb to sift through their hair. If you take the proper precautions and utilize effective deterrents, you won't have any problems with infestations.